New York (February 11, 2014) - Sumthing Else Music Works, the premier record label dedicated to licensing and distributing video game soundtracks, under license from Konami Digital Entertainment, Inc., proudly presents Castlevania: Lords of Shadow 2 Original Soundtrack. 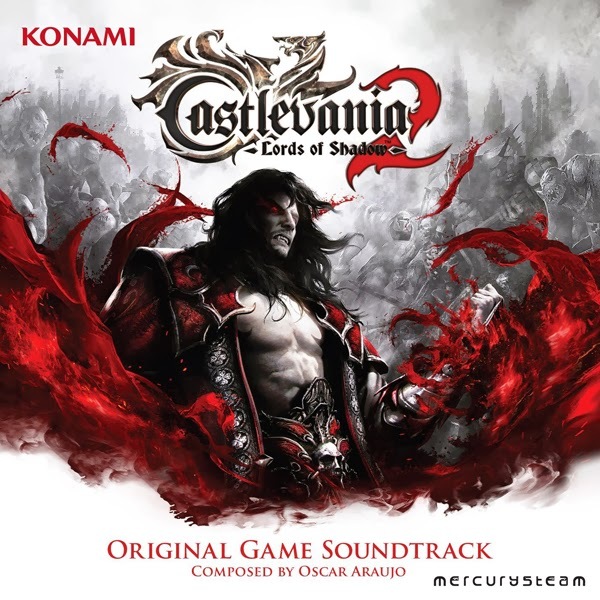 Featuring the highly anticipated epic original score composed by Oscar Araujo (Castlevania: Lords of Shadow) and recorded at world famous Abbey Road Studios, Castlevania: Lords of Shadow 2 Original Soundtrack is scheduled for a physical release on February 25, 2014 to North American and European retail outlets through Sumthing Else Music Works, and simultaneously for digital download at iTunes, Amazon.com and other digital music sites. An extended version of the soundtrack, the Castlevania: Lords of Shadow 2 Director's Cut Soundtrack, includes nineteen additional tracks which will be available exclusively from www.Sumthing.com. In Castlevania: Lords of Shadow, the first in the Lords of Shadow series, the origin of Dracula and his legendary connection with the Belmonts was revealed. In Castlevania: Lords of Shadow 2, players can expect thrilling new twists to the storyline and gameplay challenges. In this shocking conclusion to the Lords of Shadow saga, Dracula returns once again, weakened and yearning for release from his immortal bonds. Facing a new and powerful threat, the vampire lord must reacquire his old powers - and only his castle holds the key. However, the famed Belmont clan also seeks his ultimate destruction. Developed by Mercury Steam in association with Kojima Productions Studio, the Castlevania: Lords of Shadow series, which includes three titles, is a dark and vivid new re-imagining of the Castlevania mythology. Castlevania: Lords of Shadow 2 will be released for PlayStation®3, Xbox 360® and Windows PC in North America on February 25, 2014 and in Europe on February 28, 2014. For more information on Castlevania: Lords of Shadow 2, please visit: www.konami-castlevania.com. For more information on Sumthing Else Music Works and its complete catalog of soundtracks, visit www.sumthing.com, like us at Facebook.com/SumthingElseMusicWorks and follow us on Twitter @SumthingDigital.